[Matt's Messages] "Called to Work"
I read "Dilbert" everyday online and thank the Lord that my life is not like his! Here’s the strip from last Thursday, the 15th of October. Dilbert is sitting at his desk and thinking, “I like to start each workday by visualizing how my work will make the world a better place. GAAAA!!!! My life is meaningless and nothing I do will ever matter!!!! ... Okay, good. I like to get that out of the way early.” And he goes back to work. Ever feel that way about your work? Is Work – Good or Bad? Dilbert would say, “very bad.” Meaingless! But the Bible says that work was intended to be good but then turned difficult and in someways bad when we sinned. But it also says that Jesus Christ is reworking work to be good again and one day He will make work perfect. And we learned the Bible teaches that we work NOT to be saved or to bring glory to ourselves but BECAUSE we are saved and to bring glory to God and serve our neighbors in love. That’s big! That kind of work, no matter what the job, will bring meaning to your life. Dilbert is missing that. After those opening messages in this series, we started to get even more practical. Pastor Kirk Albrecht talked about our witnessing at work and our witnessing through our work. And we did two messages on both working hard and resting well. Remember these questions for those tempted to be slackers, sluggards? Because God cares about both. And some of us need to repent of laziness and some of busyness. A probably we all need to repent some of both. 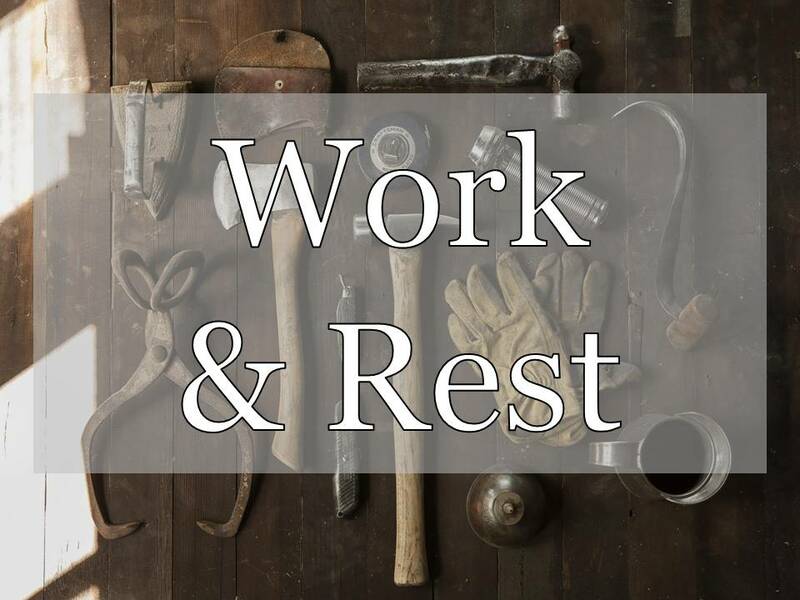 God cares about our work and our rest. Here’s the two questions for today. What do we normally ask kids about work? “What do you want to be when you grow up?” Right? Not a bad question. It’s a good question to ask! Very important for kids to be thinking about as they grow up. But here’s a more important one to add to it. We have all been called to work. And I’m talking about “calling” with a capital “C.” Not just that interrupting phone call you get that they need you at your workplace. But a Call from God to do some job or jobs. Now, this message today is going to be different from most of the sermons you hear from me. And that’s because vocation or calling is a very different and difficult topic to preach on from the Bible. For one, it’s a very complex topic. There are a lot of related concepts that flow into and out of this theme in the Bible. On one level, it’s a very big theme in the Bible and appears all over the place. And yet on another level, it’s not a very big topic in the Bible. There aren’t that many passages that specifically teach about how God calls people into their normal every day employments. One of the reasons for that is that in the time of the Bible (and really for most of the rest of human history) people didn’t have much choice about what they did for work. Most people just did what their parents did. I mean, Jesus was a carpenter because Joseph was a carpenter, right? You were born into your work. Our “Hide The Word” memory verse is addressed to whom? To slaves, right? They didn’t have much choice of their careers. And yet they were called, weren’t they? But there are a lot of passages about how to live in our callings. Yesterday, I looked up and read every verse in the New Testament that had the word “call,” “called,” “calling” or anything like that in the NIV. I came up with 292 verses in just the New Testament. I didn’t read every one in the Old Testament, but there are 739 verses in both testaments together. Now, most of those callings are naming things. “He was called Matthew.” That sort of thing. A bunch of the rest of them were someone gathering a group together. Jesus called the disciples or called the crowd to hear some teaching. Or someone called the Elders to pray for them. That kind of calling. Most of the references to “calling” in the New Testament are basically like that. They aren’t about diving “calling” to vocations or roles or jobs or anything like that. They aren’t very theological, we’ll say. But a number of them are very theological. They are God calling someone and giving them something important to do. But most of those callings, it might surprise you to hear, are still not to what we might call a “job” but rather to a relationship. And that’s the case in our key verse to start with this morning. Ephesians chapter 4. There are actually two “calling words” there in the verse. And the Greek word sounds like our English word. “Kalleo” is the Greek word. It’s salvation. It’s a relationship with God through Jesus Christ isn’t it? Here’s main point #1 this morning. In the Bible, the primary call of God on each believer is a call to a life-changing relationship with Jesus Christ. It’s a call to salvation and a call to discipleship. What was the call? It was a call to hope (v.4)! It was a call to salvation. To a relationship with God through Jesus Christ. The primary call on every believer is a call to a life-changing relationship with Jesus Christ. Let me show you this idea in few other passages that use this same word. You don’t have to turn there. Just listen. The call of God in the New Testament is very relational. It is a call to Him. If God has saved you by His grace, then your life should show it. If you have been called by God, then God has a calling on you to live out. Now, sometimes that call is general. It goes out to all. God is calling people everywhere to repent and trust in the Savior. But sometimes the Bible uses the word call in a more specific way. Those who have been called are those who have answered the call. Those folks have been called in such a way that they answered the call. And because of that they know that all things work to their good. That’s what it means to be called. Every true Christian has been called to a life-changing relationship with Jesus Christ. And it is truly life-changing. It means holiness and hope and love and unity. Are you still listening to me? I don’t want to confuse you. Here’s the point. God is calling people to Himself. That’s the main point of “calling” in the New Testament. Have you answered that call? Have you heard that call and answered it? If not, then I invite to right now. The rest of Ephesians, chapters 4-6m, spell out what that looks like. It means holiness and hope and love and unity. It means Christ-likeness, becoming like the One called us. And...we’ve been learning that being called to Him means that we are also called to work for Him. #2. CALLED TO WORK FOR HIM. Working for the Lord, right? If our primary calling is a calling to a relationship with Christ, that’s discipleship. But we’ve learned that discipleship gets worked out in our work. Our work is worship. Our work is to be discipleship. So, we are not only called to Him we are called by Him to our work for Him. 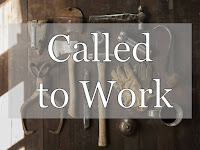 There are a couple of places in the New Testament where the word “calling” is tied more specifically to tasks or roles or positions that someone might fulfill. More like being called to a job. Most of them are being called to a ministry role like an apostle. Paul in Romans 1 was called to be an apostle. God summoned him to that role. 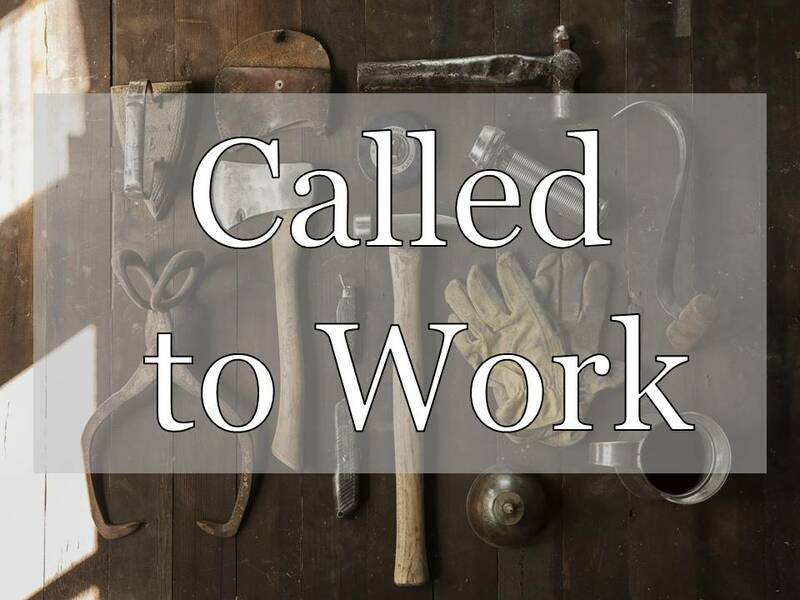 There’s work and calling connected and it’s vocational ministry work. It’s supported missionary work. It’s not wrong to call a pastor. And to say that he is called. We experienced God’s call through your call to us. And this Pastor Appreciation Month, I’ve really felt that. Thank you all for your expressions of appreciation and especially for your prayers. But being called by God is not just for ministry people is it? It’s not just vocational ministry people like myself who have a God-given vocation, is it? The other key place in the New Testament that connects up our work or roles or positions in life with this language of calling is 1 Corinthians chapter 7. Now, 1 Corinthians 7 is one of the hardest passages in the whole Bible to interpret and untangle. It’s got great stuff in it, but it’s hard to access. A lot of it is about whether or not someone should get married or not but also about whether or not they should try to change other things in their life like being a slave or not. And in 1 Corinthian 7:17 Paul uses this language of calling (which we’ve learned is mostly calling to a relationship with God) to also the language of assigning (which Paul has also used of spiritual gifts and ministry positions) to talk about the more regular everyday callings of life. Now, that’s actually pretty important because it says what we have already been learning. What your job is is something God has assigned and called you to. I’m not the only one here with a calling. In fact, my calling is not very different from any of yours. We are all called to work for Him. In fact, we all have multiple callings to work for Him. Not just one. Sometimes we get the idea that our calling is singular. But the idea of calling is bigger than that. We all have multiple callings to fulfill. Our vocation is not one single occupation. As has been said, we have callings in different realms–the workplace, yes, but also the family, the society, and the church. Someone who is retired may no longer be in the workplace, but he may still pursue his callings as a grandfather, a concerned citizen, and perhaps as an elder in his church. Some people find their callings in spheres other than the workplace–a woman who refuses a job so she can devote herself to her children; the independently wealthy man who does not need to work, so he devotes himself as a citizen to philanthropy; the elderly shut-in who devotes her energy as a Christian, to prayer. Furthermore, a person may hold multiple vocations within each type of vocation. In the family, a woman may have a calling to be a wife, which is a task in itself, but she may also have a calling to be a mother, a vocation that involves different tasks in a different kind of relationship...In the workplace, a mid-level executive or a shop foreman might be a “master” to those he is supervising. At the very same time, he may be a “servant” to his supervisor. Both of these relationships entail different duties and kinds of service. Even the C.E.O. of the company, the top boss, the “master” of all his employees, very likely is also a “servant” to the Board of Directors or the stockholders. Another aspect of our multiple vocations is that callings change. A young man working his way through college may get a job in a fast-food restaurant. For the time being, that’s his vocation, and he is to love and serve his customers and his shift manager by flipping hamburgers. If he is fortunate enough to be going to college, he also has the vocation of being a student, which has specific obligations of its own (study!). Eventually he may get that computer degree, and he may go into his lifework. That will be his vocation then. And if his dot.com company goes bankrupt, and he goes from vast wealth back to flipping burgers, he has a new vocation. At every stage his calling is not something that will wait until he graduates, or even until he gets that big promotion. Vocation is in the here and now.” (pgs. 48-49). Is that helpful? It was to me. I think we’ve made this whole vocation thing both too small and too big. We’ve made it too small by thinking that it’s no big deal what we do. That we can all just choose what we want and do what we want to do with our lives. But if there is a calling there is a Caller, isn’t there? It isn’t just what to do you want to do with your life? It’s what does God want to do with your life? But we’ve made it too big by trying to not seeing our callings in everything that we do. Today is Reformation Sunday when the Protestant church celebrates the rediscovery of the gospel in the days of Martin Luther and the Protestant Reformation. Martin Luther did a great job of breaking down the divide between sacred and secular with work. He taught that there was no such thing. All of what we call secular callings are actually sacred, too. And that means that just about everything we do is our callings. We don’t have to search high and low to find them. So, do I have you lost yet? I told Heather yesterday that this was the hardest message in this series to write and that it’ll probably be the worst, as well. Because the Bible is full of the idea of God’s call but most of it isn’t talking about how to find your callings as in vocation or career. But that’s still something we all want to know about, right? So how do I know what work I should do? If the Bible doesn’t say much about occupational callings, then how do I know what God wants me to do? The good news is that the Bible says a lot about decision-making. Let me give you a few points as we close. I hope that doesn’t surprise you. God loves to give wisdom about what work you should do. How do you know what God wants from you? Look at your callings. Where has God placed you? Whom are you obligated to serve? Our most important callings arise from our covenantal relationships. I am called to be a husband, father, son, brother, and church member, and each of these callings is too valuable to receive a paycheck. I would be insulted if [my children] Avery or Landon slipped me $10 for being their dad or my pastor gave me kickback for inviting people to church. This will be essential if to remember should you ever find yourself unemployed. You may not have a job at the moment, but your most valuable callings remain unchanged. That hits on #3. Look at yourself. What do you love? What are you good at? How has God wired you? What experiences have shaped you? If you think you may be called into pastoral ministry, I recommend, Am I Called by Dave Harvey. I gave this book to Hunter Galley this Summer as he explores whether or not the Lord might have a vocational ministry calling on him. Everybody is made differently. Everybody is good at different things. I have four children and they are like one another in some ways and very different from each other in others. How are you made? What flips your switch? Is it something that can pay the bills? My mom’s job for many years was to be a career specialist at the local vocational school. It was her calling to help others find their callings! I think Laurie Verost does something like that, right? It’s been one of my joys as your pastor to talk with many of you about vocational choices you’re making. Get wisdom from others. Don’t try to do this on your own. This road to uncovering your callings is almost never a straight one. I’ve talked this week with 5 people who have had major unexpected left turns in their vocations. One guy thought he was going to be a pastor and isn’t. At least not yet. One guy was a pastor and it didn’t work out and now he’s in sales and doing really well. Another guy is looking at changing his major in college because what he’s doing just doesn’t seem to fit him. Ruth didn’t expect to be called into being a widow this month. But now that’s one of her callings. We often don’t know what’s in store. And God has a change in that calling in the wind. Tim here has been faithfully pressing on as a missionary for how man years? But God has something different for him now. Be ready for that. Don’t think you’ve know God’s whole call on your life. He’s got lots of surprises up His sleeve. There are all kinds of jobs that are acceptable for Christians to do but some that are not. You get the picture? Any job where you have to sin regularly to do it is not a place where Christians are called by God to serve. And of course, there are many jobs where you have to draw some lines. Always check, what does the Bible say about that kind of work? Don’t get so caught up in trying to mystically find the Lord’s will that you miss it by letting the decisions pass you by. Remember, the Lord loves to give wisdom so make your choices. If you are walking with the Lord and trying to follow His call, then you will! Don’t get caught up in a spiritual tangle trying to hearing a special voice from heaven when the Lord is talking in so many ways all around you. Seek to glorify the Lord in all that you do, and you will live out your calling. My guess is that this message has raised more question for some of you than it has answered. And I’m okay with that today. Normally, I like to answer questions, not just raise them. But we’ve got time for that. Living as called person is a lifelong process of discovery. And I’m here to help you process your questions if you’d like. Let me end by directing us to this verse in 2 Thessalonians chapter 1. It’s verse 11 and Paul tells them what he prays for them. May we live a life worthy of the calling that we have received. 02. Is Work - Good Or Bad? 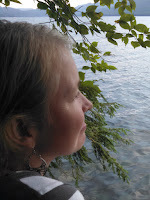 An Interview with Katie Faris about "Loving My Children"
Katie, thanks for being willing to answer some questions about yourself and your new book Loving My Children. 1. Tell us about yourself and your family. Who is Katie Faris and how did you come to write this book? I’m an ordinary mom who prays that my extraordinary God will help me love and nurture the four small souls entrusted to my care! My husband, Scott, and I have been married for ten years, and we have one daughter and three sons, ages 2 ½ to 9 years old. God put the idea for Loving My Children on my heart when I was in the thick of everyday motherhood. Even though I knew the Gospel, I was struggling to apply it to my own heart in the midst of sibling conflicts, unplanned potty breaks and trying to get out the door on time. I didn’t need more head knowledge—I needed to apply what I’d already been taught in God’s word and from older, wiser women. This book is my attempt to synthesize what I’ve seen and heard from Scripture and more experienced moms about motherhood and then put it into practice. Even though the first draft only took three months to write, it’s taken me five years to publish this book. I like to joke that it’s my doctoral thesis on motherhood! In that time, Loving My Children has been shared twice in a Titus 2 format at our church with older women teaching younger women and then leading small groups for discussion and prayer. 2. What is the central message of Loving My Children? What are you hoping that readers come away thinking, believing, feeling, and doing? Great question, Matt. In Titus 2, Paul says that older women in the church are supposed to teach the younger women to love their children, thus the title, Loving My Children. Essentially, I unpack what it means to love my children biblically, arguing that the very “best way we can love our children is by passing on the Gospel to them” (p. 22). I hope readers walk away encouraged. Our culture tells us that “If we love our children, (fill in the blank)”—we’ll take them to Disney World, feed them all organic foods or educate them a certain way. When we embrace biblical love for our children, we’re set free from false definitions of love. I want moms to experience increased faith that God has a Gospel purpose and plan for them and their children, that he is with them each moment of their mothering journey and that there is great value to their work. 3. What was the hardest thing to write about and the happiest thing to write about in Loving My Children? Chapter 3 is “The Best Gift I Can Give My Children,” and in it I suggest that loving my husband and portraying the Gospel in our marriage is the best gift I can give my children. I’d say this was the hardest chapter to write because I kept thinking of the brokenness of our culture in general, and my single mom friends in particular. Because we live in a sin-diseased world, I believe it’s even more crucial that we teach our children about biblical roles, point them to marriages that reflect the Gospel and offer them a vision for God’s design for marriage. I tried to do this as truthfully but as sensitively as I could, speaking directly to single moms at the end of the chapter. The happiest thing to write about…hmmm…probably my tribute to my mom in the last chapter. While the Lord has blessed me with many Titus 2 friends, my mom stands out among the rest. While she’d be the first to confess her weaknesses, they only serve to highlight God’s faithfulness and mercy. That’s why it’s a joy to honor her. She lives out the truths in Loving My Children so beautifully! 4. 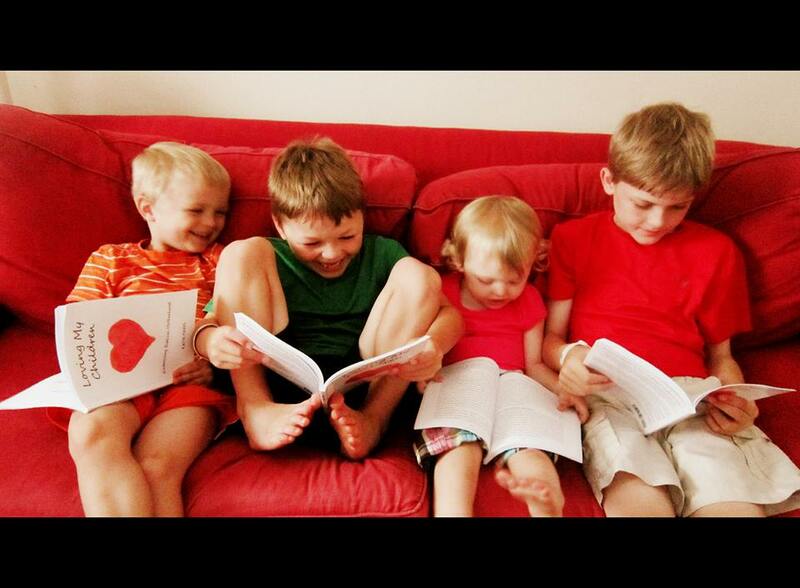 What surprised you the most about writing Loving My Children? Once upon a time before children, I journaled regularly. When I wrote this book, the Lord helped me process thoughts and remember stories that otherwise might have been lost. I’m really grateful for that. Also, three years after the initial draft of this book was written and had been taught at our church, three of our four children were diagnosed with a rare genetic disease called Alpha 1 Antitrypsin Deficiency. Truths like God’s sovereignty in motherhood that I’d written about were tested in a new way, and I was so grateful for how God used the study and writing of this book to prepare my heart to love my children sacrificially in a new arena. 5. In chapter 5 you ask the question, "What Does Doctrine Have to Do with Being a Mom?" How would you answer that question in a nutshell? I’ll quote my book: “Good doctrine has everything to do with earthy, everyday motherhood! Doctrine is about living the life God intends for us, the way he intends it” (p. 60). To put it another way, doctrine is taking biblical truths about God, his Word, his world and even our own hearts and letting them guide our thinking, decisions and behavior. In Loving My Children, I chose to focus on the doctrine of God’s sovereignty and some of its amazing implications when applied to motherhood, namely (1) God chose me to be the mother of my children and (2) God chose my children for me in particular. Why? You can find the answer in my book. 6. What word of encouragement would you want to leave any moms of young children who are reading this interview? If you are feeling weary, don’t give up. Instead, lift your eyes off the playroom floor and look to Jesus—he loves you and your children (better than you ever could!). He knows, sees, values and will reward your labors of love for your little ones. And, the Gospel really is enough. It’s enough for you and for your children. Sometimes that’s hard to believe, but it’s true. Our confidence in parenting our children isn’t based on our performance as moms, but it’s based on what Christ is able to do in us and in them and, more importantly, what he’s already accomplished on the cross. Thank you, Katie, for taking the time to answer these questions, but even more for writing this excellent book for Christian moms to know what it means to love their children well. I encourage folks to buy a copy for themselves or a mom they love. And I also encourage people to check out Faris Press' Facebook page about Loving My Children, especially for the beautiful sharable posters they've created to illustrate the lessons in the book. Katie has also created a FREE study guide with discussion questions available for downloading on the Faris Press website. Check it out! Doesn’t Blair’s song say it all? To lift my voice in praise to you. I love you, and I love to say your name. Work out Your perfect will in me. That’s Blair. That’s who he was. I don’t have to preach this sermon to you this afternoon. Because you’ve already heard this sermon. Blair Murray lived this sermon before you. He showed us how it’s done! He showed us how to be a great man. I struggled all week to try to figure out what to preach at Blair’s memorial service. He was an impossible man to summarize. 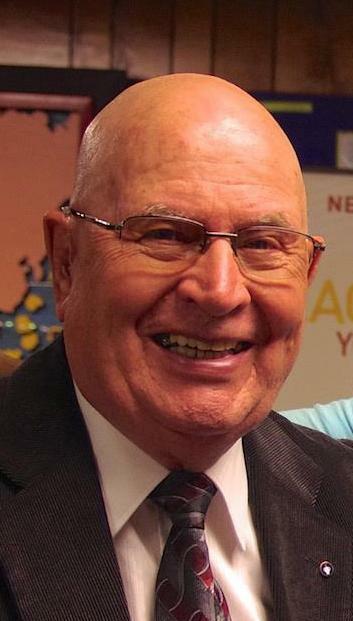 With his love of his family, his music, his church, his airplanes, his work-ethic, his humor, food, people, ministry, Bible, doctrine, relationships, prayer, missions. He did everything with zest, and it was impossible to summarize it all. But I did come up with one word. Blair Murray was a truly great man. Now, in the world’s thinking, you are great if you have success, and status, and stuff. And Blair wasn’t at the top of our society, a great man in that meaning. But Blair was truly great by the standard of greatness set by the Lord Jesus Christ. If you would turn in your Bibles with me to the Gospel of Mark chapter 10, I want to take you to passage that shows that Blair was a truly great man. Mark chapter 10, verses 42 through 45. In this chapter Jesus’ disciples were arguing with one another about who was the greatest among them. I’m sure that was a very profitable conversation! So our Lord Jesus gathered them together to give them a lesson in true greatness. Notice that it is not a bad thing to want to be great. Verse 43 says that it is a noble thing to want to be great. So, when I say that Blair Murray was a truly great man, that is an honorable thing and an honorable thing for everyone here to aspire to. To want that people would say that at your memorial service. Do you want them to say that at your service? Because your memorial service is coming, too. Perhaps soon. We don’t know when, do we? I never guessed that we’d be doing Blair’s today. What do you want them to say about you at your service? It’s a good thing to want them to say, you were a truly great person. But it has to be with the Lord’s definition of great. It can’t be the world’s definition. And it wasn’t with Blair. Blair didn’t need authority or to lord it over people that he was in charge. He wasn’t the top dog. That’s what made Blair great. He was a servant through and through. Everybody here can testify to that. Everybody here has been served by Blair. How did he do it all? How did he do all of that serving when he was given just the same amount of time as the rest of us? Think of all of the things he did. And how much of that was serving others. How quick he was to drop everything do what you needed. In the last month, I’ve called him for rides, I’ve called him to borrow tools, I’ve called him to bring out a hedgetrimmer to the church on short notice, I’ve called him to borrow a vehicle. And he was there every time, no complaining, just a joy in serving. How many places did he serve at church? He was no longer an elder, but he had done it for three decades. He was to lead worship on Sunday. He was to lead the prayer meeting on Wednesday. He was serve on the nominating committee this Fall. I clicked up the heat this morning. And his handwriting is on the thermostat there saying when the battery was last replaced. And those are just slice. Everybody here has a story of how he served them. He was a joy servant of all, and that made him, in Jesus’ eyes, truly great. That Lord whom he loved to say His name, has greeted him in glory and said to him something like this, "Well done, good and faithful servant! Come and share your master's happiness!'" (Matthew 25:21). Blair showed us how it’s done. And it’s our job, we who are left, to follow his example. Who wants to take his place and do the things he did? Who wants to fill those shoes? They are too big to fill for any one person. So, we all need to step up and do it. We all need to become servants like he was. Do you need some comfort this afternoon? Blair believed in the sovereignty of God. That God was in control of all of the details of life. Including the trials and tribulations of life. Yesterday, I went through my folder of letters and notes from Blair over the years. He was always writing me little encouraging notes about things that he was learning, especially if it related to a sermon that I had recently preached. This one here, wrote on the back of a place-mat from the Bell, the restaurant up there in Kylertown. My prayer for you is that you continue to find yourself alive in Christ all through the day and night. Enjoying him in everything we do makes life simply great. 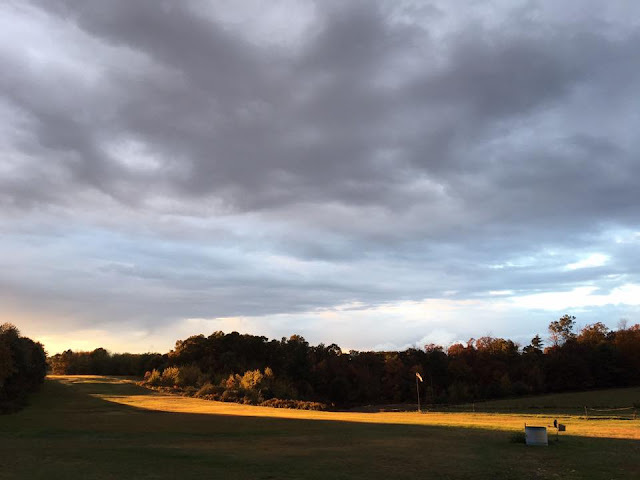 For me – just knowing I will never be blind-sided by something that escaped God’s attention gives great confidence. ‘God is good’ seems like such an understatement, but He sure has been good to this child. Love you in Him, Blair. For those of you who need comfort this morning. You’re struggling with how God could allow such a tragedy as we all experienced last Monday. Blair says to have faith in God’s sovereignty. Yes, we will be blind-sided. I know that Blair was blindsided last week. And we were all blindside last week. But never by something that escaped our Father’s attention! Blair’s God is sovereign and that give us all of the comfort we need. Blair was a truly great man by Jesus’ definition. And we need to follow his example of serving others. But Blair would be upset with me if I made this sermon about Blair. Because Blair was not the name he loved to say. There was an even more truly great man that Blair would want me to talk about this morning. And that’s the Son of Man from verse 45. Jesus didn’t come the first time to be served. He deserved it! If anyone deserved service, it was Jesus. But He came to be a servant. Do you remember when he showed that by washing his disciples feet? 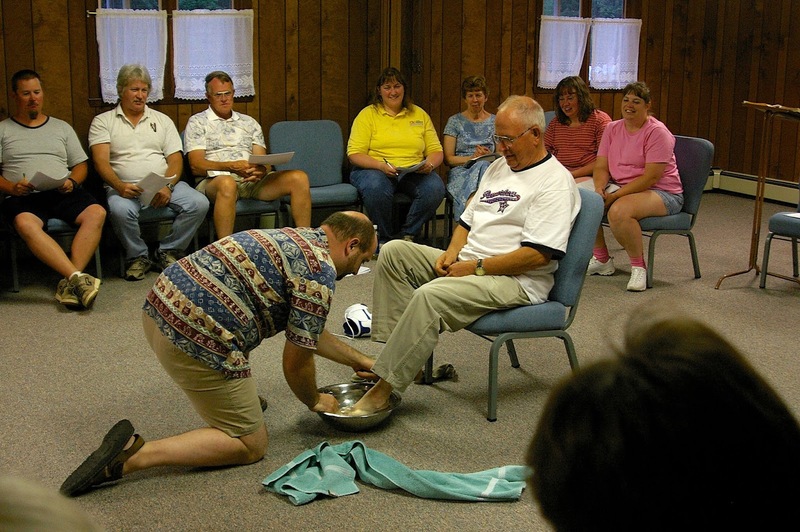 I once washed Blair Murray’s feet at a Family Bible Week one Summer. We acted out that parable. Blair told me later that nobody can touch his feet without him going through the roof in ticklelishness. But that day, God gave him the blessing of being able to have his feet washed. And we were acting out what Jesus. Jesus, our Lord, wrapped a towel around himself and acted like a servant as a visual illustration of what he came to do. And here’s how he did it–in the extreme. Jesus gave His life as a ransom. He died in our place on the cross. He took our place. He served us by taking our place on the Cross. And paying our ransom. Paying the debt we had racked up for our sins. And it’s the message that Blair most loved to share. Blair was a gospel-man. An evangelist. Blair wanted everyone he knew and everyone he met to know Jesus and trust in His ransom for our sins. Everybody here has heard Blair talk about the gospel. Not everyone here has believed that gospel yet. He was just telling me about people for whom he’s praying to know, trust, and love Jesus. And to not walk away from Jesus. He’s been praying for some of you for some time. Blair wants to see you again and spend eternity with him praising the Savior all the day long. We know where Blair is. Do you know that you will be where he is some day? Are you part of that “many” who have put their faith and trust in Jesus? Blair’s death has shaken me deeply. I am grieving hard because I miss my friend. But his death can bear much fruit in my life if I consider his truly great example of servanthood and aspire to be like him. And if I point people to the Savior whose name Blair loved to say. I invite you to trust in Jesus as your Savior and your Lord. To put your faith in Him and what Jesus did for you on the Cross. Your ransom paid. So that your sins are forgiven and you are promised eternal life. The life that Blair is right now experiencing in full. Thanks for visiting my blog to find out more about Resisting Gossip: Winning the War of the Wagging Tongue. 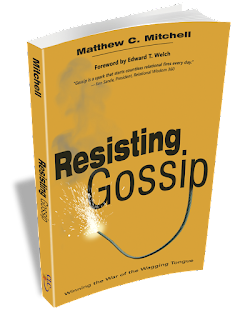 Resisting Gossip was released on September 3, 2013 by CLC Publications. Preview, download, and read the endorsements, table of contents, foreword by Ed Welch of CCEF, introduction, and first chapter here. Follow the story of the publishing or Resisting Gossip and discover many of the ways it's being used around the world by subscribing to the email newsletter. and in a growing list of e-book formats. Go deeper into Resisting Gossip with the new participant's guide and Bible study Resisting Gossip Together, the corresponding video teaching series, plus the Spanish version, Resistiendo el Chisme, and the French version, Résister à la Médisance. Heather and I are in Virginia Beach for the CCEF National Conference: "Side by Side" based on Ed Welch's excellent little book. Live streaming of the plenary sessions is available for those who can't be here. If you are here, my talk on "Behind the Back: When Gossip Distorts Side-by-Side Ministry" is Saturday at 1:45pm. I'd love to have you join me. Here is the outline for my talk. I'd appreciate prayer, too! Coming Tomorrow: An Interview with Katie Faris about "Loving My Children." 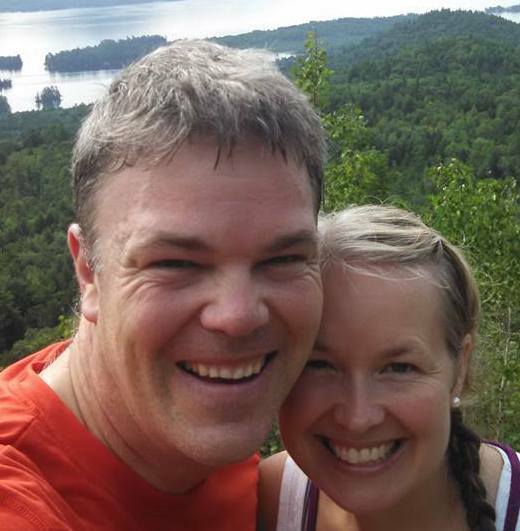 Back in July, I told you about a new book by our friend Katie (pictured here with her husband Scott) called Loving My Children: Embracing Biblical Motherhood. Tomorrow on the blog, I'll be posting an interview with Katie asking her about herself, how the book came to be, and what moms will will get out of reading it. I'm particularly excited about this because Katie used to be a member of our church and is coming back for a visit on November 7th to speak to the ladies at our Fall Tea Party about "fruitful friendships" from Titus 2. If you're nearby, please plan to join them! What do diapers, lullabies, laundry, and cleaning behind the baby's ears have to do with the gospel? Everything! In this gem of a book, our friend Katie Faris winsomely shares biblical wisdom on seeking the best for the children God has loaned us. Katie knows what she's talking about--we've seen her mothering in action--and she writes well. 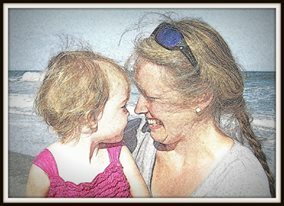 Sweet but not sentimental, direct but not demanding, Loving My Children helpfully connects the Bible's teaching on grace, sovereignty, and sanctification to the everyday hard work of being a mom. Heather and I highly recommend it. Tune in tomorrow for more. An excellent primer on the essence of eldership in the local church. This is just the little book on eldership that the evangelical Church needs. For years, I have searched high and low for an accessible book that introduces biblical eldership which doesn’t devolve into either a technical treatise on ecclesiology nor a how-to manual that relies on debatable insights from the world of secular organizational theory. And here it finally is! Church Elders does a good job of neither glorifying the position nor denigrating the work of an elder. Rinne writes as a vocational pastor but FOR avocational elders. He understands the perspective of a man for whom being an elder is lived out in addition to all of his other responsibilities including a family and a full-time job. Rinne packs a lot into these 122 short pages, but it feels like just the right amount. His illustrations are concise but revealing and helpful. His prose is conversational and carries the reader along but isn’t trite, sentimental, or sappy. If I could write a book on church elders, I would want it to be just like this one. I’ll be asking all of our elders to read it and include it in all future elder training. Highly recommended. [Matt's Messages] "Work and Rest"
Our current sermon series is called “Working for the Lord,” and it’s all about our vocations, our daily labors, our jobs. Last week, we talked about working hard, about diligence instead of laziness and industriousness instead of idleness. But now this week, we want to talk about a surprising companion to hard work in the Bible. Another four letter word. Work is can be a four letter word, but so is this word: R-E-S-T. I said last week that some of you will need this week’s sermon more than last week’s, though you might not know it or admit it. Did you work hard this week? Or did you hardly work this week? Have you rested well this week? Or have you hardly rested this week? Because God cares about our rest. He doesn’t just care about our work. He does care about our work. We’re learning that. But He also cares about whether or not we rest, and how much we rest and what quality of rest we get. That God cares about rest? A few weeks ago I read you a part of question that came in to me on the survey sheets. Here’s the rest of it. That’s a really good question, isn’t it? Last time we talked about it, we answered it by saying the good news is that we don’t work to earn our salvation or to earn God’s pleasure. Jesus’ work is perfect and already reckoned to our account. We don’t have to worry about working enough. He has worked enough for us. But that’s just part of it. Here’s another part of the answer. Who is the Master that is watching us at work? Who is your Master? It’s the Lord Jesus. And He’s the best boss there ever was! He cares, not just about the quantity and quality of our work, but the quantity and quality of our rest. #1. YOUR LORD WANTS YOU TO REST. God doesn’t just care about the quantity and quality of our work, but the quantity and quality of our rest. And the first place that we’re going to see that is where He includes rest in the ten big rules. The 10 Commandments given to Israel in Exodus chapter 20. The fourth commandment that God gave His people Israel was that they were to cease from work one day each week and set aside that day as holy. They were to work, yes. And work hard. But for only 6 days. 1, 2, 3, 4, 5, 6 Sabbath. 1, 2, 3, 4, 5, 6...Rest. And that rest was for everyone. Not just for the rich landowner. But for all of the workers and everyone in the house. V.10 again. And that “alien” means an immigrant not something from Doctor Who or Star Wars. Nobody works on that day in Israel. And what was the penalty for breaking the Sabbath in this covenant that the Lord made with Israel? Listen to Exodus 31:14-17 “'Observe the Sabbath, because it is holy to you. Anyone who desecrates it must be put to death; whoever does any work on that day must be cut off from his people. For six days, work is to be done, but the seventh day is a Sabbath of rest, holy to the LORD. Whoever does any work on the Sabbath day must be put to death. The Israelites are to observe the Sabbath, celebrating it for the generations to come as a lasting covenant. 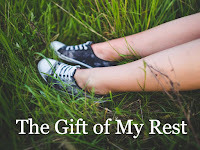 It will be a sign between me and the Israelites forever, for in six days the LORD made the heavens and the earth, and on the seventh day he abstained from work and rested.”"
We need to be reminded that rest is a serious thing that God cares about. Now, you and I don’t live under the Mosaic Covenant today. So, you and I as New Covenant believers are not under this commandment in the same way that we are under the commandments to not murder or commit adultery. I don’t believe that there is one day in seven that is the Sabbath now. But even if the Sabbath day does not continue for Christians, the principle of rest is still there and the importance of rest is still there. By the way, I’m not going to explain all of what the Bible teaches about the Sabbath today. There is too much to share and still stick with our theme of work and rest. But if you’re interested, I’ve written a little article about the Sabbath in the Bible and especially what it means for us today and I’m going to re-post on my blog this afternoon. 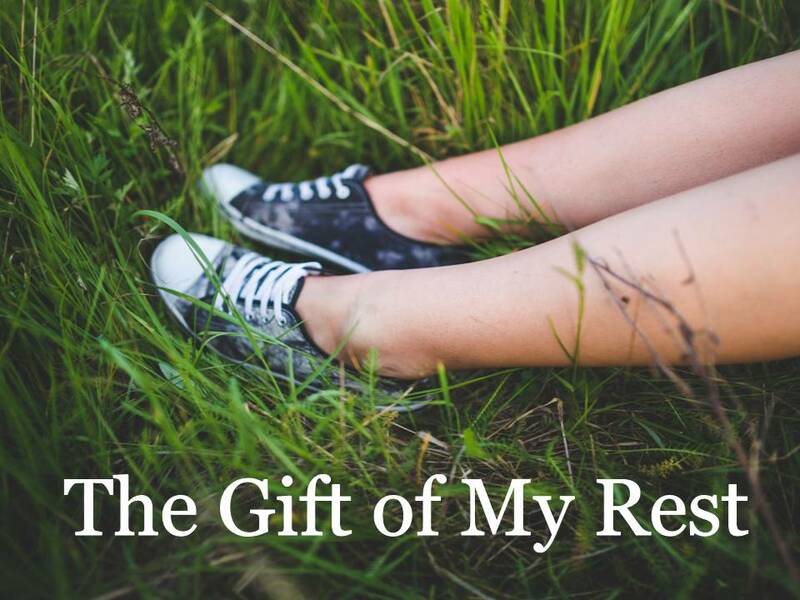 It’s called “The Gift of My Rest.” I’d be glad to answer any questions that it raises for you. The point I’m making here is that God cared enough about rest that He encoded into the Mosaic Law. This Lord commands that His workers rest. Do the best employers include rest in their plans for their employees? Of course they do! Days off and vacation and for some lines of work, sabbaticals. And the best employers actually want their employees to take the rest that they offer. To come to work rested. And guess what, our Lord is the best boss there ever was. Your Lord wants you to rest. He gives rest to His people and even commands it of them. Sometimes your job is to rest. You are required to rest. On one level, no one can escape it. We all have to sleep. God has programmed it into our bodies that they require rest. But we can push and push and push ourselves and deny ourselves the rest that God wants for us to take. Is it hard for you to rest? That’s what I often say. I’m not good at resting. It takes too much work. Well, sometimes your job is to rest. To play, to cease your work, to lay down what you’ve been laboring at and take a break. Did you catch that in verse 11? And how it was repeated in chapter 31? If rest is good enough for God, then it’s good enough for you and me, too. And never resting is sin. I was talking to a pastor friend a few weeks ago, and he said that he never takes a day off. He loves his work, so he never stops. He takes mini-breaks and portion of several days. But he doesn’t have a day off, and he asked me what I thought of that. Now, I’m not his judge. I’m not his Lord. In the end, that’s between him and his Master. But I know how his Master feels about rest. It is requested and required. Don’t forget the gospel. Don’t forget that Christ’s perfect track record of resting is reckoned to your account as well. Because you belong to Jesus you don’t have to get this right to be justified in God’s sight. You can rest on Christ’s rest. But think about that: Jesus rested. God rested after creating, but think about all of those places where see Jesus sleeping. Heading out by Himself to pray in solitary places. Jesus wasn’t all work and no play. He worked hard but He also rested. Perfectly! And He wants us to work and rest, as well. So, how are you doing at this? Are you resting? Sometimes, it’s your job to rest. So are you doing your job? Do you take time off of work? Do you use your vacation and rest? Do you plan in enough time to sleep? Does your family believe that you rest enough? Your family needs you to rest. I can’t tell you how much or when to rest, but I can tell you that God cares about that. Or is your picture of God a slave master with a whip held up to his ear ready to crack behind you if you slow down? I think that some people think they are resting, but they aren’t. It’s good to figure out what is really resting for you and what isn’t. I mean for some of you guys, a trip into the woods with a bow or rifle is really restful. It’s really restorative for you. For me, unless I actually fall asleep while hunting, it’s not very restful at all for me. It’s more like work than work is for me. I’m still trying to learn how to do it right, but the effort of hunting isn’t very revitalizing for me. But taking a long hike is. Rest is not always sleeping, but it is always ceasing from work for a period of time. And you know what that requires? Faith. #2. YOUR LORD WANTS YOU TO TRUST. Do you find it hard to rest? That probably indicates a faith issue, a problem with unbelief. Do you remember the manna? The supernatural bread that God provided from heaven for the people of Israel. How many days were they supposed to collect it? 6 days. And which day were they not supposed to collect it? On the Sabbath, right? He provided twice the amount the day before. Why? What does that mean? It was an object lesson, wasn’t it? Yes, God wants you to work for your daily bread, but no, you are not responsible, ultimately, for even your daily bread. One day a week, you stop working, but God still provides. That’s hard to do. It’s hard to stop and just trust God. But we are not our own Saviors. In the Deuteronomy version of the ten commandments, the LORD emphasizes not His own example of rest at creation but the fact that the Israelites used to be slaves in Egypt but God rescued them with His mighty right hand. Some people need to repent of laziness. Some others need to repent of busyness. And I’m talking to myself here. When we work without sabbathizing, we exhibit unbelief in the goodness and love of our Lord. The best Scripture for this is the one that Marilynn put on front of your bulletins. It’s Psalm 127, verses 1 and 2. It’s a psalm written by Solomon, actually. And he starts it like this. Do you hear those familiar words from Ecclesiastes and the curse of Genesis 3? Is it wrong to build a house? Is it wrong to work hard at construction? Of course not. But ultimately, it’s not up to our hard work whether or not the house gets built. It’s not up to you! It’s not up to me. We act like everything up to us. When we don’t rest. You can have 1 watchman or 2 watchmen or 200 watchmen or a 2 million watchmen, but if the LORD doesn’t watch over the city, your city is toast. It’s not up to you. When we don’t choose rest, we act as if everything is up to us. You work and work and work and work some more. You act like the fate of the world rests on your shoulders. But yours are not those shoulders! Instead, God grants sleep to those he loves. He gives rest as a gift. Now, if you have the NIV, you see a footnote there for an alternative translation of verse 2, and I think it’s a more likely translation. We know that God doesn’t always grant sleep to every believer. I think that this verse is saying that even while we rest, God works. Do you need to hear that today? When you rest, you are exercising faith in your Lord. He wants you to trust Him. Six psalms earlier in 121 it says, “He who watches over you will not slumber; indeed he who watches over Israel will neither slumber nor sleep” (vv.3-4). And that means that you and I can sleep. It doesn’t all rest on you, so you can rest. Or are you working like He can’t be trusted? Remember, the Shepherd of Psalm 23 is your boss. That description of someone lying you down in green pastures and leading you to drink from quiet waters and restoring your soul is your Boss. Your Lord. Every week, we’ve been recognizing the hard work and celebrating a different group of hard workers in our congregation. Today, I want to have the homemakers stand. If you are currently a homemaker or are a retired homemaker, I’d like to ask you to stand and be recognized. The reason I picked the homemakers today is because when those kids are little, they almost never get a rest. Sleepless nights and sleepless days! Verses 3-5 of Psalm 127 describe how children are a blessing. But they are a very tiring blessing, especially when they are little, and you ladies do an amazing job of caring for them so well on so little sleep. Hardest job in the world. Guys, if you have a homemaker in your house, make sure you are finding ways to get them rest. Make it your job to see that she gets the rest that she needs. And that includes not just sleep but also time away from the kiddos. Date night. Girls’ night out. Whatever it is she needs. Because her job never ends! One more point this morning. Number three. #3. YOUR LORD WANTS TO BE IN YOUR REST. One of the reasons why our rest is not very restful is because we leave the Lord out of it. We are not supposed to rest from the Lord but with the Lord. The original Sabbath day was to be a day of rest from work but also for worship. Turn with me briefly to Isaiah 58 where the Lord is explaining through Isaiah what genuine fasting and genuine resting is supposed to be like. Scan down to verse 13 and see these promises. You see the joy in the Lord there? Do you see that the Sabbath was to be the Lord’s day? Resting is for God just like working is for God. Don’t do it without Him. Don’t do anything on your day of rest, on your vacation, on your holiday, on your breaktime that you don’t want to do with Him. Take your breaks with Jesus. The Lord wants to be in your rest. Because He’s the one offering it to you. The Lord Jesus said, “Come to me, all you who are weary and burdened, and I will give you rest. Take my yoke upon you and learn from me, for I am gentle and humble in heart, and you will find rest for your souls. For my yoke is easy and my burden is light” (Matthew 11:28-30). I know that this sermon raises more questions than it answers. Some of you are wondering now about the Sabbath. Read that article I’m posting this afternoon. And I’d be glad to talk with you about that more. Some of you want to rest more but you’re not sure how. How does this look if you’re a second, third, or fourth grader? How does this look if you’re a college student? How does this look if you’re unemployed or disabled or retired? How does this work out if you have to work 2 or 3 jobs just to make ends meet? What does rest look like for you? How do I “work” at my resting to improve it? How do I truly stop working and let rest be rest? I don’t have all of the answers for you for those particular questions (I don't have all the answers for my particular situation! ), but I believe the answers are out there. What I can say is that God cares. He cares enough to request and require us to rest. He cares because He wants to get the glory. We labor in vain if we try to get up early and stay up late and leave Him out of the equation! He cares because He wants us to experience everything good that He has for us. He gives to his beloved in their sleep. While we’re resting, He is giving. And the biggest, thing He’s giving in our rest is Himself. So I know that I need to repent of my busyness and get busy learning more how to rest in Him. You, too? Let’s do it together. In the Summer of 2000, when I was first preaching through the 10 Commandments, I really struggled to develop both my theology of the 4th commandment and my sermon once I had come to some conclusions. It had gotten to be Saturday at 2:30, and I had a sermon with 29 points that would have lost everyone! Matt, tell My people this: Tell them I love them and tell them to accept the gift of My rest. *I stress that this is a work of fiction not a vision, prophecy, or revelation. It was just my attempt to summarize what God has said in His Word and apply it directly in the form of a letter. Please check out the verses cited to see what God has actually said. The sermon version was originally preached on July 2, 2000, and the original blog version of this letter was posted on here on May 15, 2005. Yo estoy resistiendo el chisme! [Matt's Messages] "Get to Work!"